Designed to safeguard pedestrians, buildings and equipment from the lowest to the highest level both inside and out. The Double Traffic Rail at the base provides maximum resistance and protection from straying vehicles in high-impact areas. 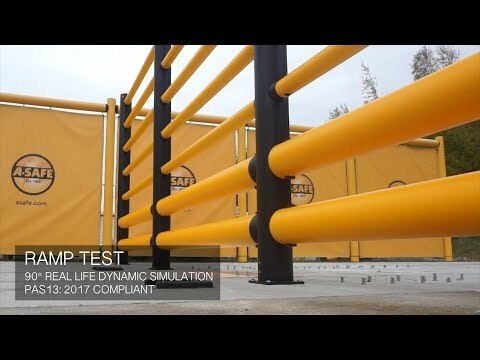 The energy-absorbing high level barriers separate traffic, defend against heavyweight forces and prevent the dangerous toppling of stacked goods. Ideal where larger mass vehicles operate.